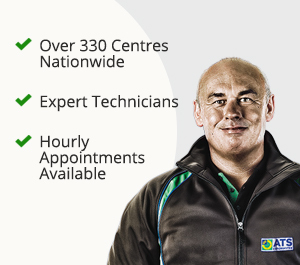 ​A free suspension check at ATS Euromaster will ensure that your vehicle is safe for the roads, checking all the vital suspension components including the shock absorbers and springs. 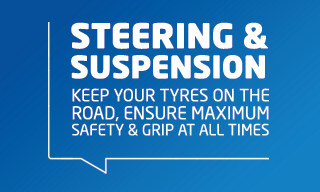 Worn suspension can cause aquaplaning in wet weather conditions as your tyre will not be kept firmly on the road surface and the water underneath the tyre tread forces it to lose contact with the road. This leads to an uncomfortable ride, causing some drivers travel sickness and fatigue. At ATS Euromaster we carry out free checks on your core suspension components to make sure that your car is safe to drive and road legal. Suspension checks are recommended annually so you can spot any potential issues before they lead to potentially larger and costlier to repair problems, but if you have any doubt about your suspension’s current performance, we recommend booking a free check with our experts as soon as possible. Because there are a several components that make up your car’s suspension each part has to be checked to make sure your car is roadworthy. Our suspension checks ensure that the car ‘bounces’ properly, simulating how it will handle real world situations and identifying any potential issues. The checks also look for any signs of leaking or damage or corrosion that may have an impact on the car’s performance, all of which has an impact on your car’s ability to corner, brake effectiveness, tyre wear and fuel economy.